where we keep overwhelming ourselves with the brute force of statistics. distinguished by a high degree of cooperative behavior." "We have taken the point of view that quantum theory is a statistical theory that predicts only the outcome of an ensemble of measurements. The outcome of a single measurement is described only probabilistically." "Finally, it is the authors view, shared by many physicsts, that quantum theory is *fundamentally* a probabilistic theory that is complete in the sense defined by John Bell"
relation to Hilbert space was (and still is) "afavor offortune." be regarded as the products of wishful thinking. been identified with the Schroedinger equation and spectral theory. which, until this day have not found their "universe of discourse. " last concession to a phenomenology of microphysical symmetry. Wigner had shown the way. mathematics by Poincare, Brouwer, Hopf, de Rham, and Hodge. spacetime structure of the objects gene rating the Hilbert space superstructures. threads of logic interconnecting suspected cause and perceived effect. 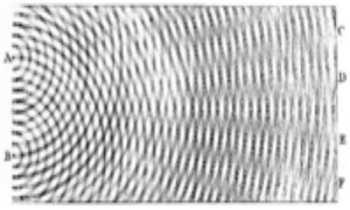 integration in the physical domain (chapter XVII;8). confined to essential physical features of the ensemble constituents only. distinction led quantum mechanics into the dead-end street of formal abstraction. This escape in abstraction became misleadingly acceptable. Getting out of this dead-end situation, the man-made fog of "uncertainty"
reveals physics' reluctance in coming to grips with the cited predicament. There are some sensible answers there, including one by Motl. I hate the name "statistical interpretation". It just causes confusion. Sudbery is of the opinion that "No one interpretation is generally accepted" including the Copenhagen which he believes has been applied to at least four different interpretations listed above. I am not familiar with that book. I agree that no one interpretation is generally accepted, that most probably accept Copenhagen but many people mean different things by that, and that Bohr's interpretation is minimalist. The longer quote describes the quest for scientific "realism". It sounds great until you start drawing untestable conclusions. "...is to add a lot of extraneous junk." Thats the whole purpose of String Theory, that is for its insiders (masquerading as award winning (bogus Milner prize) "scientists") to add complexity so that the only court recognized experts are the string practitioners (tiny few) themselves. 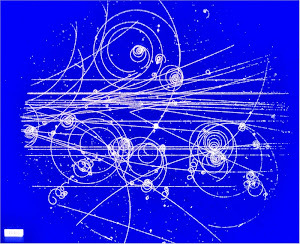 What the thieves are doing with String Theory is fencing in science so that String Theory is considered both more fundamental than Level 1 Quantum Mechanics (see here String theory proponent Ron Maimon hierarchy in this link: http://physics.stackexchange.com/questions/22618/are-quantum-mechanics-calculations-useful-for-engineering/22620#22620) and yet provides all the tools for the bottom layer where all the engineering applications take place). molecules present in even a small drop of oil is utterly unthinkable. additives that can alter the viscosity in wanted directions." Imagine, trillions of dollars of "molecular additives", coatings, etc that do not work as advertised and are deliberate fabrications (fraud). Thats the purpose of string theory.. passing off bogus science and engineering in the small as legitimate to reap obscene profits. And non observable because I bet they imbed their all subsuming "Grand Theory of Everything" into a hocus pocus "quantum" (remember String theory is more fundamental than quantum mechanics) processor run by Google. If you say "string theory is garbage" but its so big that you cannot understand it all then you lose. Of course this is tin foil hat stuff. Roger takes an optimistic outlook in his book that science will continue to progress. I say it definitely won't in the era of internetworked communications. The singularity is an increasing wealth concentration due to ignorance of science, not an uplifting of standard of living. Here is my real world definition of String Theory: "Financial gain through Agiotage* disguised as the legitimate pursuit of scientific knowledge"
price of a given good or service without adding any kind of value." Useless nanoparticles in your lubricant courtesy of Quantum Strings (TM) . The reference to the word adding historical legitimacy of quantum mechanics, that being the word 'quantum' is the fall guy for all the looting (agiotage, spookiness, god does play dice, your account raided due to fake quantum computer robbing you) and the real villain, the word 'Strings', is goodness and apple pie (profits for the few). Ensemble interpretation conjured up by Popper and supported by Einstein. Gee, I hope this isn't another case of physicists supporting it because of Einstein idolizing? But, as they said with "Nobody ever got fired buying IBM"...I guess the same applies here...after all, guess who is the most popular scientist of all time at the Nobel prize website? Switzerland, did not receive the attention they should have merited." in parallel with those of celebrities like R. P. Feynman, J. Schwinger and S.
Roger, this physicist is very angry and wants a lot of nobel prizes taken back. He also had a run in with the Motl goof. "By these awards, the Swedish Academy is knowingly endorsing shoddy science, reflecting the fact that shoddy science has become mainstream"
"The only academic to have studied my arguments in the last 20 years I am aware of was former Harvard assistant professor Lubos Motl. He decided on, I guess, about a minute's examination that what I was doing was Feynman-Dyson perturbation theory in disguise. Quantum field theory is, admittedly, a difficult subject, but more people ought to know at least the bare essentials. I therefore give them here. Knowledge of QFT to first-year graduate level is assumed." "I might also add that the way that whole academic system is set up is not conducive to the production of interesting and original research. And this applies to all fields, not just theoretical physics. The tone is set by burned-out old men who have long since lost any real interest in research and seem to do very little other than teaching and politicking."